When Amazon.com finds itself in litigation, sometimes they are not in suit with the original offender, but rather their insurance company. These litigations are when the defense is shifted to the insurer. This occurred in Amazon.com International v. American Dynasty Surplus Lines Insurance.1 This patent infringement case involved Amazon’s two insurers, Atlantic Mutual Insurance Company and American Dynasty Surplus Lines Insurance Company. In this case, American Dynasty covered patent infringement, and when they refused to defend, Amazon brought suit. Amazon.com v. Am. Dynasty Ins. Co., 120 Wn. App. 610, 85 P.3d 974, 2004 Wash. App. LEXIS 379 (Wash. Ct. App. 2004). In this patent infringement case, Amazon had two insurers, Atlantic Mutual and American Dynasty. Both companies refused to represent Amazon, and when Amazon brought a declaratory judgment action against American Dynasty, the parties settled and Amazon was reimbursed for costs in the patent infringement litigation. 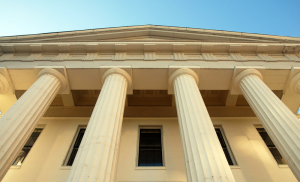 On appeal the court found that the factual allegations made by the plaintiff in the patent infringement litigation conceivably amounted to an advertising injury covered by the primary policy with Atlantic Mutual. Thus Atlantic Mutual had a duty to defend, and the court reversed the judgment and remanded the case for entry of a summary judgment in favor of Dynasty.